The mission of CONTINUUM WPB 2019 is to collaborate between different artistic disciplines while enhancing the community. 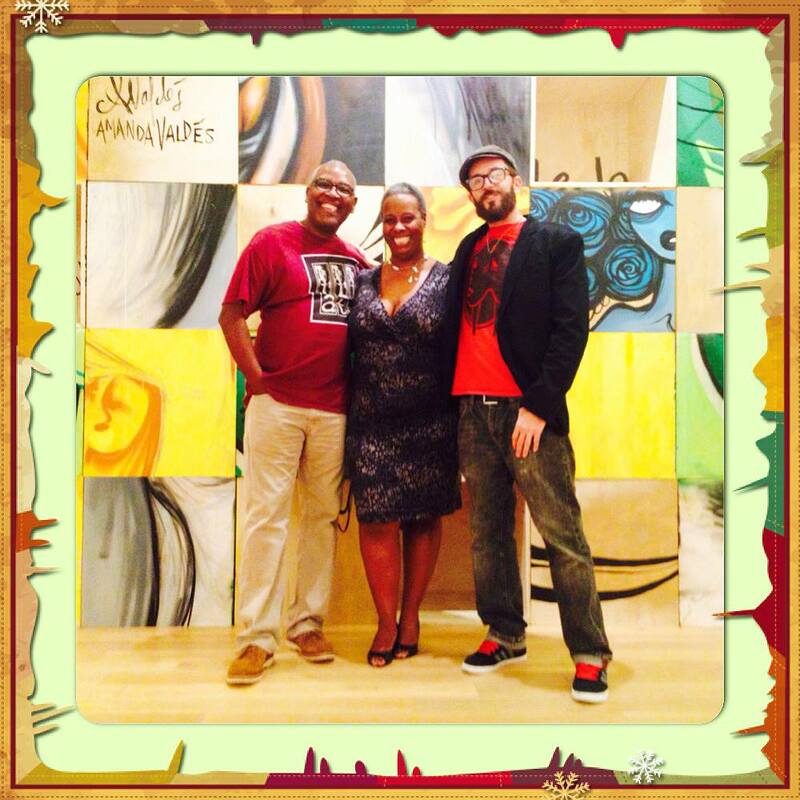 The curators, Anthony Burks Sr., Trina Slade Burks and Craig McInnis are pleased to announce that over 80 visual artists will have their work displayed in the former Mac Fabrics Clematis Street location in West Palm Beach. In addition to 2D and 3D artworks, the public is invited to attend a myriad of activities from January 10 – 19. Each day will have its own vision, which makes this art fair a unique experience. All charitable contributions go to the No More Starving Artists Foundation. We are pleased to be a supporting sponsor. Curators of Continuum Left to Right: Craig McInnis, Trina Burks, Anthony Burks Sr.
Curators, Anthony Burks Sr., Trina Slade Burks, and Craig McInnis tell The Rickie Report, “We are back in the downtown West Palm Beach area bringing you all the great things that CONTINUUM WPB arts has always provided. Each day will have its own vision that makes this art fair a unique experience. All charitable contributions go to the No More Starving Artists Foundation”. You are invited to join us at the grand opening of CONTINUUM WPB Arts & charitable fundraising event. All day activities for your artists to learn from professional artists. Age 14-18. Must have Parent consent. Younger must be accompanied by an adult. The presentation will be about fluid acrylics, manipulating the paint with different techniques and tools. Sponsor this night for a private party! A quarter auction is part raffle, auction, fundraiser and sales bingo-style event. A great opportunity have fun, raise money for a deserving charity and win affordable art while patronizing the artists’ booths. Hosted by Cecily Mathis of the Jewelry Jamboree Quarter Auction. Join us for the artists’ marketplace displaying moderately priced items by CONTINUUM’s exhibiting artists. Enjoy an evening of art and music entertainment by DJ Cole . So what do you need to attend? 2) A few dollars to buy your paddles & raffles. 3) Friends to have a good time with! 4) Self determination that you are going to win! 5) Compassion to want to help a charity! 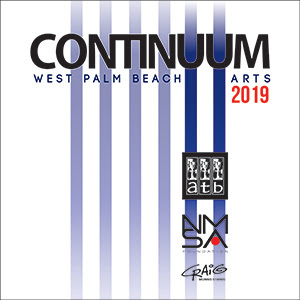 Contemporary Art Call For “Continuum 2019” West Palm Beach Arts Includes Artists In Brevard, Indian River, St. Lucie, Martin, Palm Beach, Broward, And Dade Counties! CONTINUUM 2019 announces its Call to Artists! This event takes place in Downtown West Palm Beach in a secret location (we promise to tell you as we get closer to the event). Produced by ATB Fine Artists & Designers LLC in Partnership with the No More Starving Artists Foundation, Continuum 2019 events take place January 10-19, 2019. The Deadline to apply is October 31, 2018! The Rickie Report shares the details of this Call and cannot wait to see who applies!!! This Call is open to artists in Brevard, Indian River, St. Lucie, Martin, Palm Beach, Broward, and Dade Counties. Art Lovers, MARK YOUR CALENDARS! *If submission fee is being paid by check or money order, payment must be received before application is reviewed. Once accepted as a participating artist, there is an additional $40 exhibition fee. Information will be emailed to the accepted artists. Information will be emailed to the accepted artists after the call is complete. Artwork eligibility: Paintings, drawings, photography, sculptures, installations are eligible. (Note: No digital art, digital reproductions, giclees or prints except photography) Original work only created by the artist submitting. 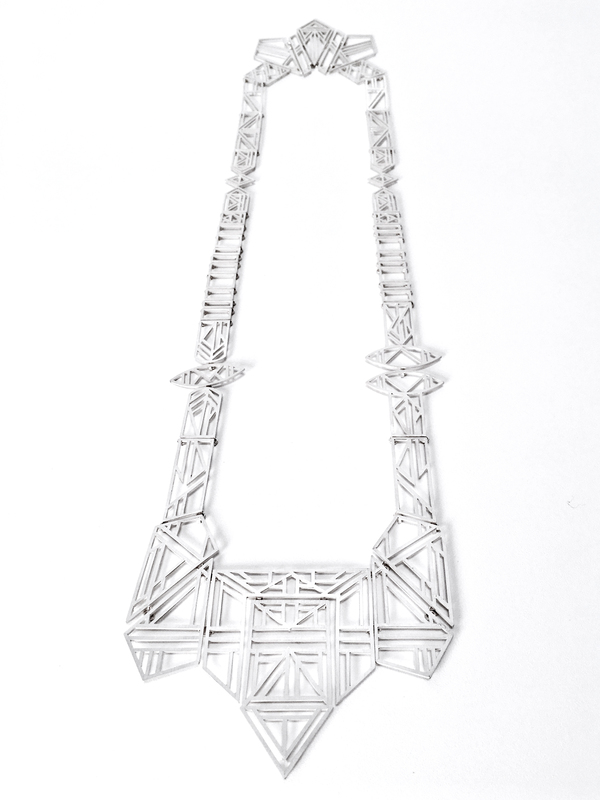 Jewelry will only be accepted if the artist is providing his or her own unique way to display. 2D artist can submit a maximum of three different images. If you exhibited with CONTINUUM WPB Arts from 2014-2018, please do not re-submit the same work. Any previous work submitted will be disqualified. Commission: 60/40 split. 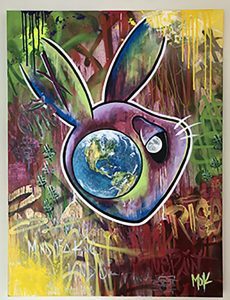 Artists will receive 60% of the net proceeds of the sale, and the Coordinators will receive 40% of the net proceeds of any sale of artwork. Prize: Artists participating in CONTINUUM WPB Arts will be eligible to win awards in one of four categories. 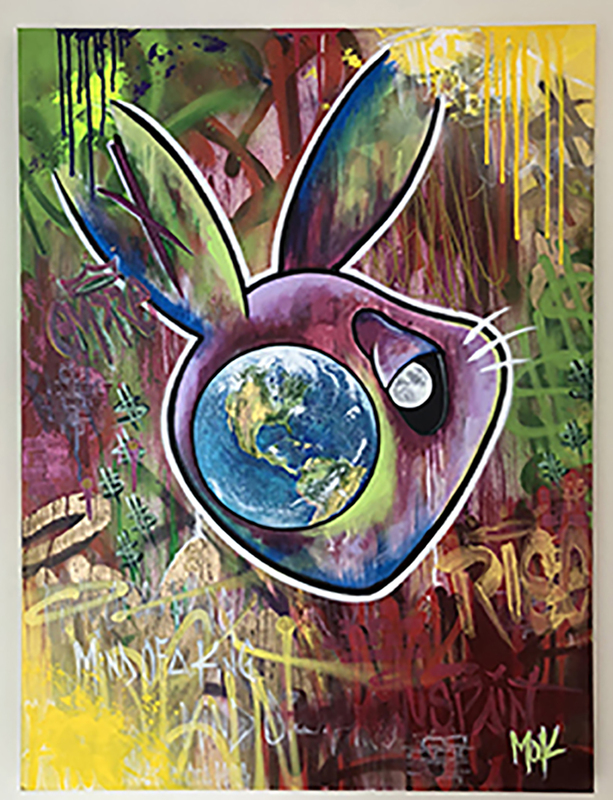 All artwork will be juried anonymously based on artwork only, not by artist name.Only the artwork and the artist statement will be provided to the jurors. Please DO NOT list your name in your artist statement. If your name is provided within the artist statement, your application will be considered incomplete. Images of your work cannot have a signature, your name, a watermark or anything that will indicate who the artist is. If any of these are indicated in the images provided, your application will be considered incomplete. Jewelry must have a minimum price of $150 unless it is a series meant to be sold together but can be sold separately. 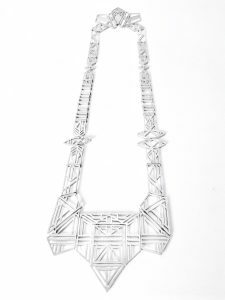 (Example: A pair of earrings from the series can be sold for $50 Necklace for $100 or $150 for the series.) Due to limited security, we do not encourage jewelry created with precious stones such as diamonds, rubies, sapphires and emeralds. If your jewelry is accepted, you will be responsible for your own displays. As stated above, once accepted as a participating artist, there is an additional $40 exhibition fee. Information will be emailed to the accepted artists. If the submitted artwork becomes unavailable, the artist must contact the coordinators immediately. The jurors can view a replacement similar to the style. The jurors have the right to accept or reject the new work. Artist agrees to provide quality and tasteful work that best represents the format of CONTINUUM WPB Arts. All art must be ready to hang or install. The committee can reject any work if not presentation ready. (Must be framed, have hanging devices, be gallery wrapped and edges treated and painted. No cracks, sloppy edges, or incomplete work. Any work not presentation ready will be rejected. It is recommended that acrylic and not glass is used in the framing.) Artwork must be labeled on the back with the artist name, title medium & gallery price. Coordinators agree to host an art show that best represents the quality of artists and artwork provided. 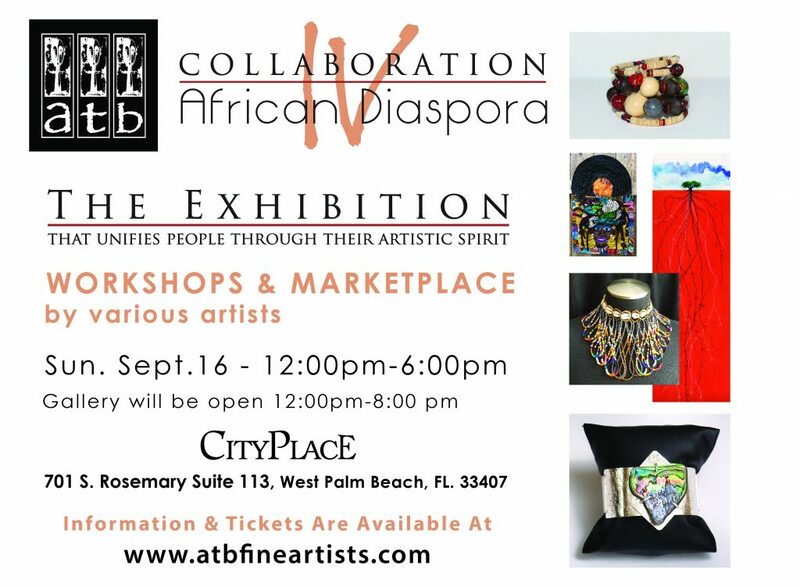 Related Companies and ATB Fine Artists & Designers LLC is bringing Collaboration: African Diaspora Exhibition IV to CityPlace in West Palm Beach from September 12-22, 2018. The exhibition will highlight 38 different artists and reflect an African Diaspora, historically known as the movement of Africans and their descendants to places throughout the world – predominantly to the Americas. Throughout the ten day event there will be unique art, music, literature and food experiences, showcasing the diversity of the diaspora. Some of the events are free and others are ticketed. 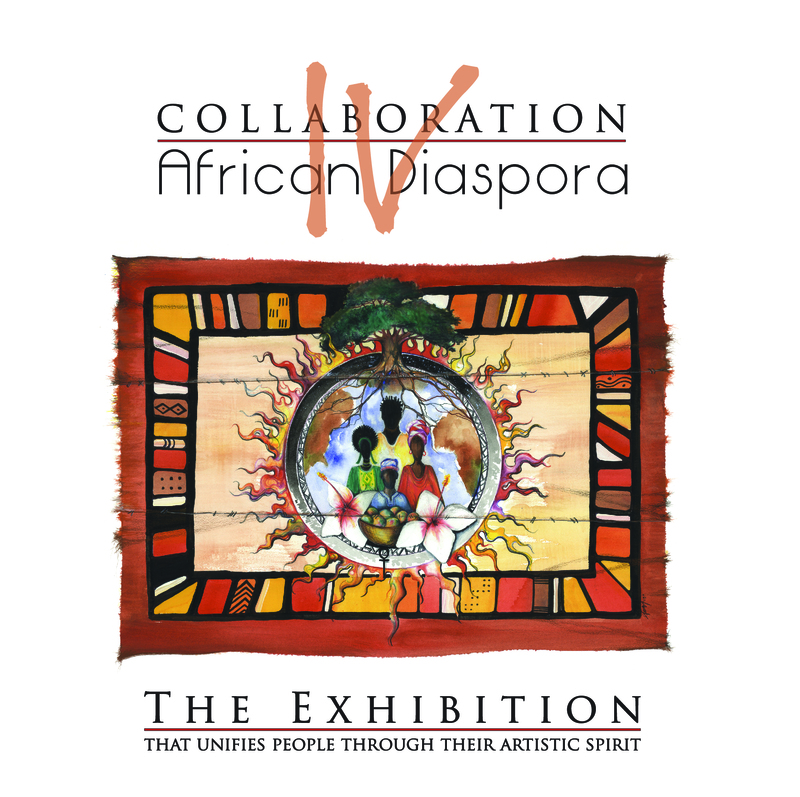 The focus of Collaboration: African Diaspora Exhibition is to show the community that there is another aspect of art & culture in a community that many of the Palm Beach County community have yet to experience. The Rickie Report shares the details and urges Art Lovers to get ready for a fabulous series of events! Some Activities are Free and Open to The Public. Others Are Ticketed. Please see below for details! Collaboration is revisiting its roots. The “Collaboration” brand was established as a pop-up exhibition format, allowing artists to hosts exhibitions in alternative spaces rather than permanent locations. ATB’s Anthony & Trina Burks, fiber artist Barbara Cheives and jewelry designer, the late Lea Jefferson, founded Collaboration. The first few exhibitions started in the Burks’ home in the Northwood neighborhood of West Palm Beach. Since then, Collaboration has exhibited over 550 artists under several themes. Originally created in 2013, the Collaboration: African Diaspora Exhibition had displayed a vast variety of artists from around the country. We have achieved this not by simply hanging art on a wall or sitting it on a pedestal, but by unique story telling through the eyes, hands and lips of the artists themselves. collaboration: (n) the act of working jointly. 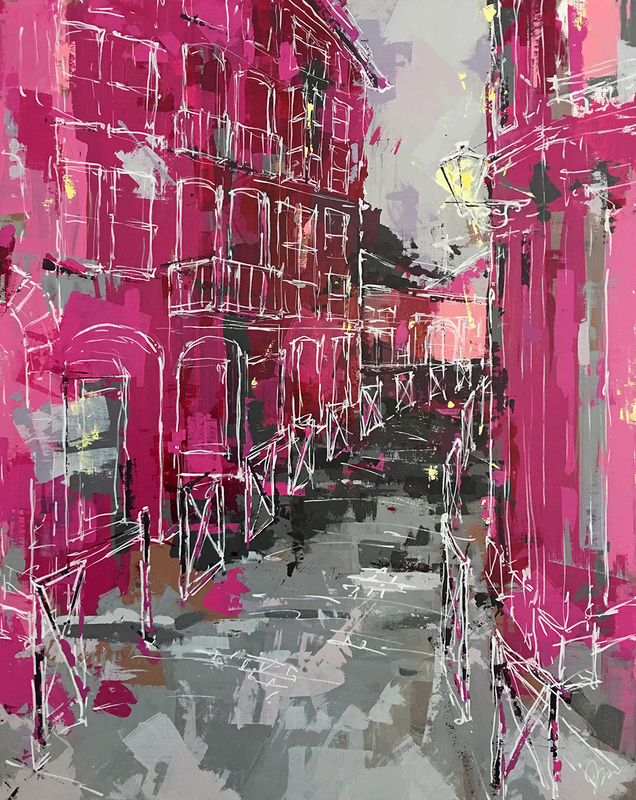 This is a showcase of artists’, presented in homes & businesses allowing artwork to be viewed by clients in a more realistic environment rather than a gallery or museum. It allows the artists to intermingle with buyers one on one and develop a personal relationship without a third party facilitator. The vision of this is to have an African Diaspora (The African diaspora was the movement of Africans and their descendants to places throughout the world – predominantly to the Americas). This is the third installment of the exhibition. Originally created in 2013, the African Diaspora had displayed a vast variety of artists from around the country. We have achieved this not simply hanging art on a wall or sitting it on a pedestal. It was accomplished by unique story telling through the eyes, hands and lips of the artists themselves. Created and curated by the ATB Fine Artists & Designers LLC, the “Collaboration” brand was established as a Pop-up exhibition format, which allows artists to hosts exhibitions in alternative spaces & not at a permanent location. ATB’s Anthony & Trina Burks, fiber artist Barbara Cheives and jewelry designer, the late Lea Jefferson, founded “Collaboration”. The first few exhibitions started in the Burks’ home in Northwood. Since then “Collaboration” has exhibited over 350 artists under several themes. (I.e. Salute to Women, Students of Collaboration, Boys to Men) The focus of Collaboration: African Diaspora Exhibition is to show the community that there is another aspect of art & culture in a community that many of the Palm Beach County community have yet to experience. The concept of art itself does not have to be in reflection of the diaspora. ATB’s Media Blitz, which is a media preview day beginning at 11:30 a.m. Later in the evening, guests are invited to attend two happy hour food, drink and art demonstrations at 4:00 p.m. and 6:00 p.m. The happy hour demonstrations will be done conducted by Chef Boris Seymore of B.D.S Catering & Productions and artist/curator Anthony Burks Sr. They will be giving a snippet of what will take place at the opening night VIP Food Tasting on September 13. 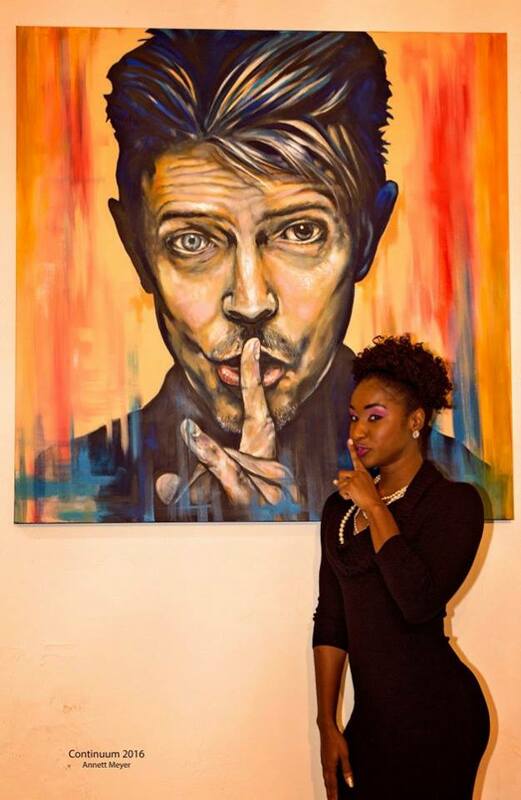 Though the opening night art exhibition is free to the public, tickets should be purchased online for the event food tasting by visiting http://www.atbfineartists.com/2018/08/tickets-for-collaborationafrican.html. Related Companies, No More Starving Artists Foundation and Quiet Storm Premier Vodka. We are also proud to partner with Chef Boris Seymore. 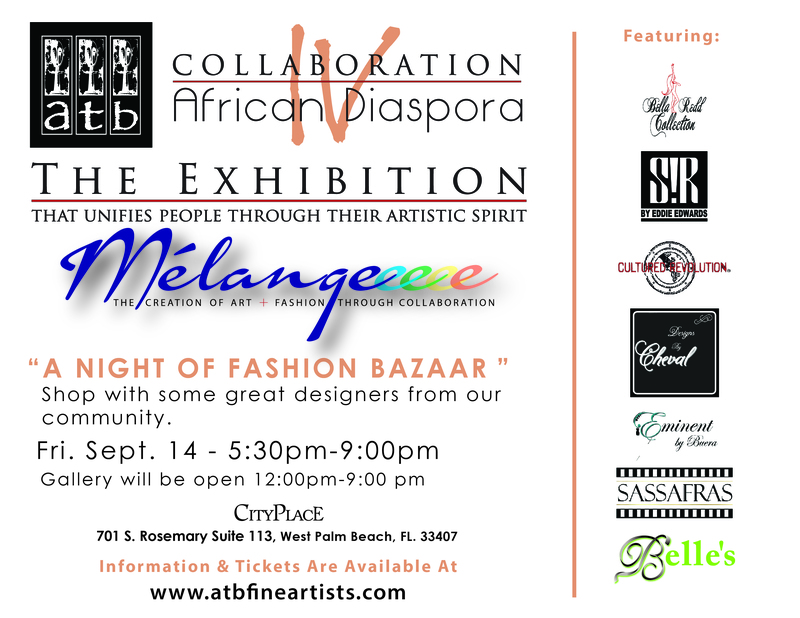 For more information, please visit http://www.atbfineartists.com/2018/08/save-date-for-collaboration-african.html. 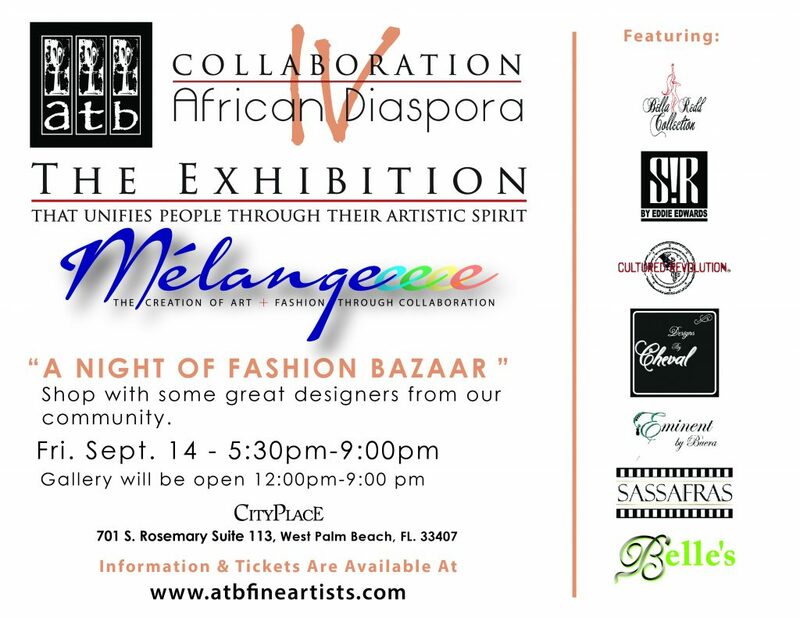 To purchase tickets, please visit http://www.atbfineartists.com/2018/08/tickets-for-collaborationafrican.html. Founded more than 40 years ago, Related Companies is a fully-integrated, highly diversified industry leader with experience in virtually every aspect of development, acquisitions, management, finance, fund management, marketing and sales. In West Palm Beach, Related Companies developed the 72-acre CityPlace, CityPlace Office Tower, 400-room Hilton West Palm Beach directly connected to Palm Beach County Convention Center and RH West Palm: The Gallery at CityPlace. The company is currently undertaking the reimagination of downtown West Palm Beach and evolving into the Southeast’s leading district including best-in-class residential, hotel, culinary, entertainment, education, art, culture and retail. For more information on Related Companies, please visit www.related.com. NMSAF is a 501(c) 3 founded 2018 whose mission is to build the legacies for artists from Palm Beach County. It was established to help primarily Palm Beach County artists be sustainable by providing opportunities and services. 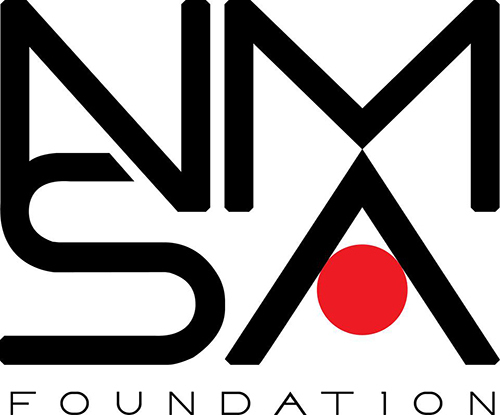 For more information about NMSAF visit http://www.nmsaf.org/ follow us @nmsafpbc on twitter and IG, or https://www.facebook.com/nmsaf/ or contact us on 561-714-6674. The ATB Fine Artists & Designers LLC, please visit http://www.atbfineartists.com/, follow us @atbfineartists on IG, or https://www.facebook.com/atbfadllc or contact us at 561-714-6674. CONTINUUM WPB Arts’s mission is to collaborate different artistic disciplines while enhancing the community. 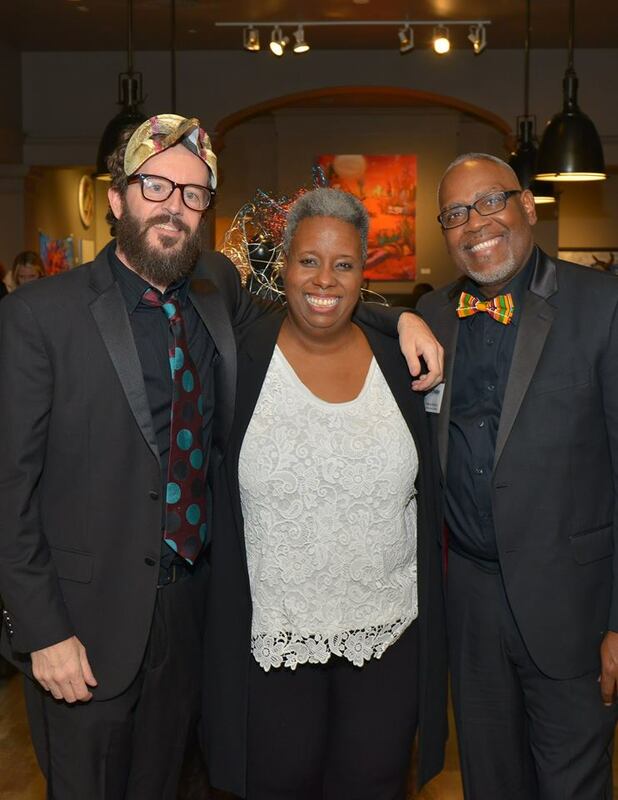 The curators, Anthony Burks Sr., Trina Slade Burks and Craig McInnis are pleased to announce that over 70 visual artists will have their work displayed in the former Restoration Hardware site in City Place. In addition to 2D and 3 D artworks, the public is invited to attend a myriad of activities from January 18-27, 2018. The Rickie Report applauds Continuum and its partnership with Art Synergy for its 5th Year! We’re pleased to be a supporting sponsor. This event will be located Downtown West Palm Beach produced by ATB Fine Artists & Designers LLC in Partnership with ArtSynergy Inc.
CONTINUUM WPB Arts is proud to bestow a variety of awards for visual arts each year that help foster unique and individual artistic growth within our South Florida community. For the last three years, CONTINUUM has awarded over $6500 in cash prizes thanks to the contributions of our Palm Beach County businesses and arts community. In 2018, our goal is to award close to $3000 in prizes. 2017 welcomed the Young Masters of CONTINUUM program which awarded young artists in Palm Beach County’ fiscal and professional opportunities for their future. This is by far the largest roster of South Florida artists to ever be exhibited in our art fair. We are excited because it is our 5th annual event and this is a great representation of what CONTINUUM WPB Arts is all about. 70 artists from Brevard- Miami have been juried in for the 2018 showcase. Welcome to the CONTINUUM family. 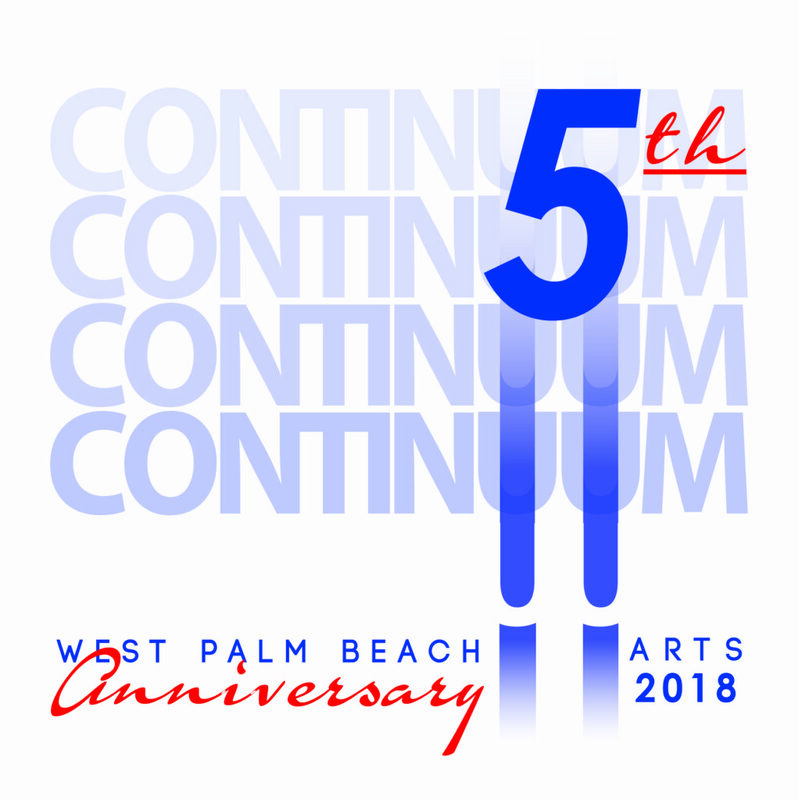 Continuum WPB Arts Celebrates 5th Anniversary In 2018 Bringing A Pop-Up Art Show That Knocks Your Socks Off! 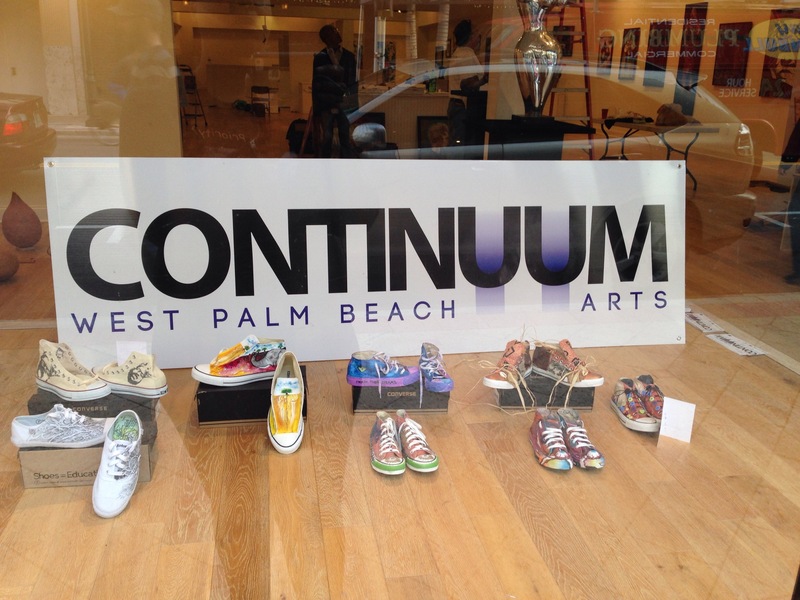 CONTINUUM WPB Arts is an annual pop-up art exhibition in a temporary space TBA in the Downtown West Palm Beach during Art Palm Beach. Produced by A.T.B. Fine Artists & Designers LLC (ATB), their outreach extends to artists from Brevard to Dade Counties this year. The CALL FOR ART begins! The Rickie Report shares the details and urges artists, whether emerging or professional, to apply! The mission is to collaborate different artistic disciplines while enhancing the community. This event will be located Downtown West Palm Beach. ART PATRONS – MARK your calendars! The Event will be January 18-27, 2018. -Do not use work that you previously submitted in previously CONTINUUM WPB Arts calls, whether you were accepted or not. -Remove your name from everything that will indicate to the jurors who you are. You can replace it with “the artist” or remove it all together. This includes in the artist statement, in the title & the signature on the art. ATB has worked with the founders of ArtSynergy to create an exhibition in the heart of downtown West Palm Beach during Art Week coinciding with ArtPalmBeach ) and one additional week with the purpose of attracting local and out of town art buyers to a source of local art. ArtSynergy will also be coordinating other art exhibits and events at art districts throughout the county during this period. 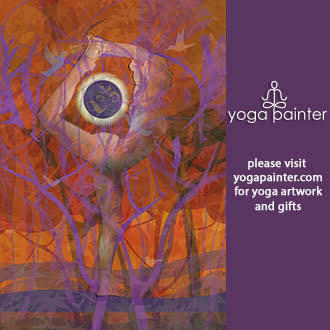 For more information about other ArtSynergy events and art exhibit opportunities, go to www.artsynergypbc.com. ATB manages the CONTINUUM WPB and this Call to Artists. For the last four years with the help of presenting sponsors like the A&E District for the City of WPB, corporate sponsors such as Bombay Sapphire and arts sponsors like the Armory Art Center, CONTINUUM WPB Arts has developed from a simple visual art exhibition to an annual multi-media art fair. 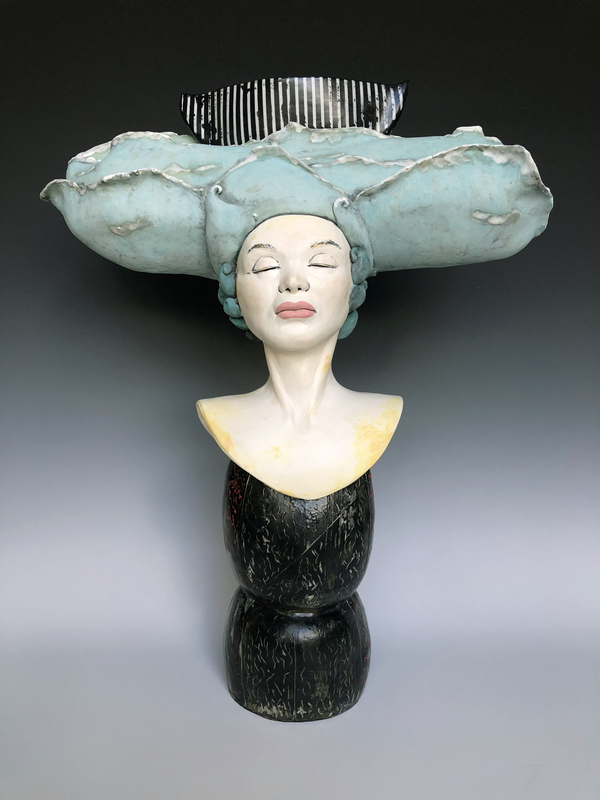 Each year, CONTINUUM WPB Arts space holds over 200 works of art, including 3D ceramics and sculptures, created by over 50 artists. Cash prizes have been awarded for the last two years and will be again for year five. Some events at this art fair will include: VIP Black Tie & Sneaker Fundraiser Opening Gala, the Collectors Brunch and Lecture, the Body Painting Battle and the Mélange Fashion Show just to name a few. 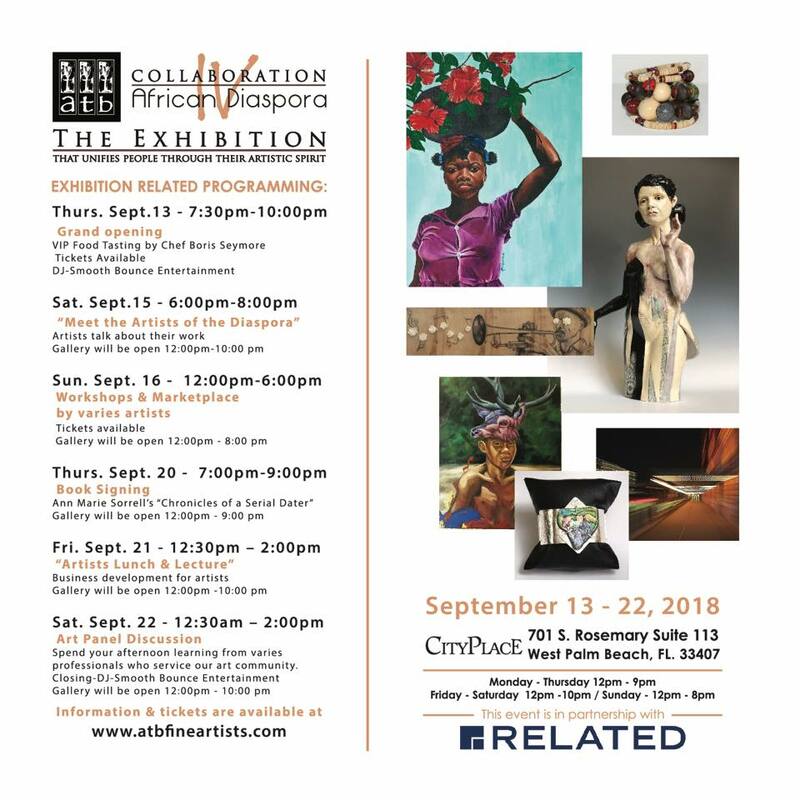 Pardon the inconvenience (Irma), as The Rickie Report shares NEW dates of Exhibits, Gallery presentations and Calls for art. Many artists have experienced losses of supplies, studios, and artwork due to Irma. As these artists’ basic needs are being taken care of by other agencies, we would like to suggest other ways to help: Support the local art scene by showing up for events, by talking to the artists, and by purchasing their art. Vote For Your Favorite Artist. Winner gets One Month Exhibit at Gallery! Opening Meeting! New members Welcome! ATB Fine Artists presents, in conjunction with The Gallery at Center for Creative Education, the fourth installment of ‘Boys to Men’ art exhibition. ‘Boys to Men’ is a Pop-Up art exhibition that began five years ago in an empty law firm building. 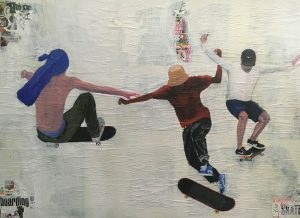 The exhibition features an all-male lineup with a range of ages being presented as a mixed media, group art exhibition. This fourth installment features artworks by Andrew Hollimon, Anthony Burks, Sr., BULKS, Craig McInnis, John Rachell, Lee Glaze, Luke Gardner, Marc Ludwigsen, Mark Walnock, Mark Widick, Mckinnon Souverain, Michael ‘Pooch’ Pucciarelli, Nate Dee, Ray Fernandez, Zachary Knudsen, and more. The Rickie Report shares the details and some sneak peeks. 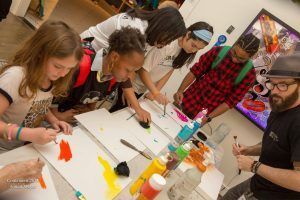 Center for Creative Education’s mission is to empower our students to grow academically, creatively and socially through arts-based education. Trina Slade-Burks & Anthony Burks, Sr. Vivid Arts will offer a free App experience for three South Florida Events in January. 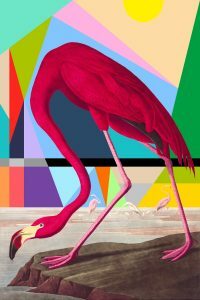 The culturally curious will now have the digital tools to enjoy Art Synergy at Art Palm Beach Week 2017, Continuum West Palm Beach and Art Fort Lauderdale with the upcoming update in the Vivid Arts iOS app. The Rickie Report shares the details here. Vivid Arts, a digital platform focused on growing the arts and culture community through a connected and unified platform, recently launched an update to their iOS app that integrates events and enhances the user experience. The updated ‘Live Events’ features will act as a digital tour guide and give users the info and tools to know what’s going on at each event. Users will be able to get Google Maps directions directly to the event, see each event’s show lineup as well as the event’s participating artists, and share their photos taken from the Vivid Arts app directly to social media or to their friends. 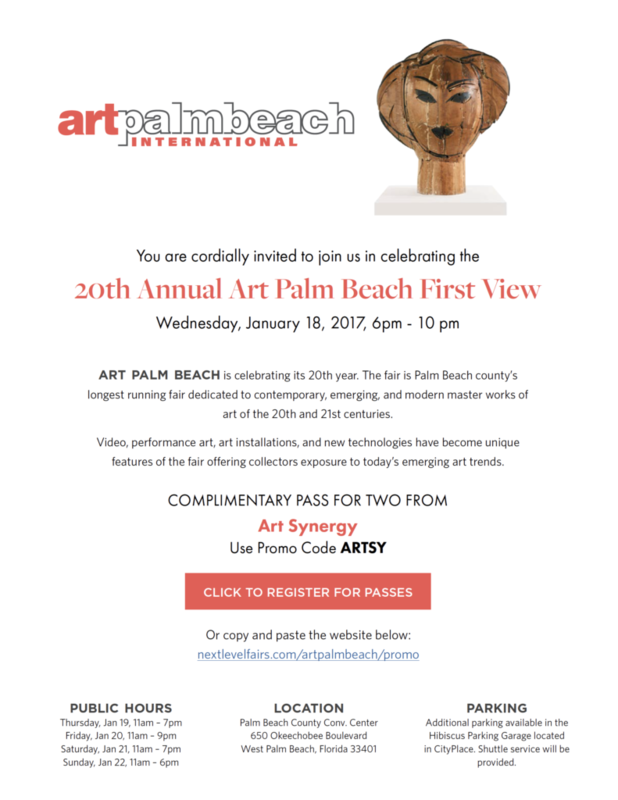 Art Synergy at Art Palm Beach Week 2017 will produce more than 65 exhibitions throughout the nine Palm Beach County Art Districts in January 2017 during Art Palm Beach week. 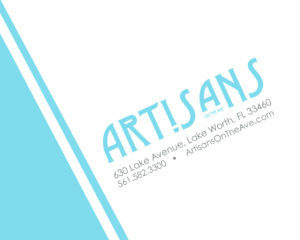 The nine art districts are: Antique Row, Artists Alley, Boynton Beach Art District, Lake Park and North Palm Beach Art District, Lake Worth Arts, Northwood Village, West Palm Beach, and Worth Ave.
Continuum West Palm Beach’s mission is to collaborate different artistic disciplines while enhancing the community. 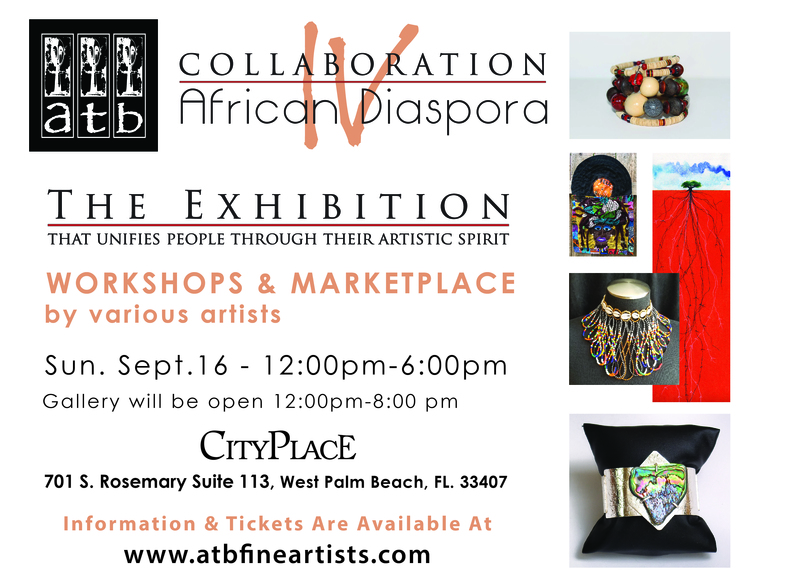 This event will be located in CityPlace at the former Brookstone store and is in partnership with ArtPalmBeach and Art Synergy, produced by ATB Fine Artists & Designers LLC. 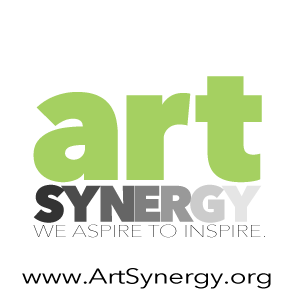 Art Fort Lauderdale is a revolutionary art fair hosted at properties on the intracoastal waterways in Fort Lauderdale – incorporating a different approach to view, interact and purchase art. It will be an outlet that will give artists the opportunity to showcase their work whether they are independent or being represented by a gallery. In addition, Vivid Arts is proud to announce it has brought on a Digital Advertising Specialist and a marketing intern to their team, Omer Usta and Deanna Campbell, respectively. Mr. Usta has a B.A. in Business Administration from Yeditepe University in Istanbul Turkey, and twelve years of work experience in digital marketing. Most recently, Omer has worked with the Turkish power comparison platform, Seçelektrik, and Ram Marketing Group in Coconut Creek, Fla. Ms. Campbell has a B.A. in Marketing from Florida Atlantic University. She will take take on some project management and digital marketing responsibilities. CONTINUUM WPB Arts is a temporary pop-up art exhibition and event in the Arts & Entertainment Downtown area of West Palm Beach, Florida that is coordinated & curated by A.T.B. Fine Artists & Designers LLC (ATB) from January 19 – January 28, 2017. ATB will be working with the ArtSynergy to create an exhibition in the heart of downtown West Palm Beach during the week of ArtPalmBeach (January 19-23) with the purpose of attracting national and international art buyers to appreciate and acquire regional art. The Rickie Report shares the details and urges all artists to consider applying! ART PATRONS: MARK YOUR CALENDARS for Thursday, January 19! The opening night for CONTINUUM WPB will be their V.I.P. Black Tie and Sneaker Charity Affair, on Wednesday, January 19, 2017 from 7:00 – 11:00 p.m.
Artists will decorate sneakers that will be auctioned at our annual silent auction during the Black Tie and Sneaker Charity Affair. STEP FORWARD To Add Your Artistry to a pair of sneakers!